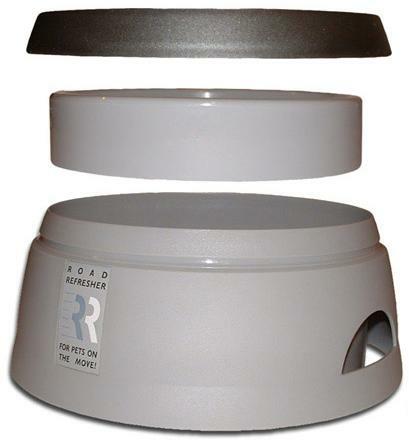 This bowl allows your dog to drink whilst travelling, place the water bowl into a vehicle or other travel means. Your dog can drink as he wishes while you continue with the journey, the bowl will not spill. 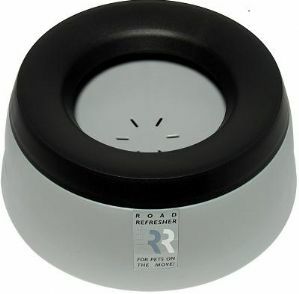 Features of the Road Refresher dog bowl:- Suitable for all forms of travel or at home - reduces slobber by 90% - clever design that limits the amount of water your dog can pick up in one given time - also suitable for dogs with long ears or beard - non spill - velcro base for carpets with additional fixing pads for other surfaces - Made from heat resistant, toughened polypropylene, the Road Refresher is easily taken apart for cleaning and then simply clicks back together again.